Simeulue made it two winners for the week for the stable when she scored a game win at Mornington on Wednesday. Jordan Childs said the daughter of Stryker showed plenty of heart to hold out Riel Reward and win the 3YO Maiden Plate (1000m) by a short half head at just her second start this campaign. “She jumped well and travelled nicely for me just off the speed,” Childs said. “Coming to the corner she quickened up really good and in a tight finish she got the bob of the head in. 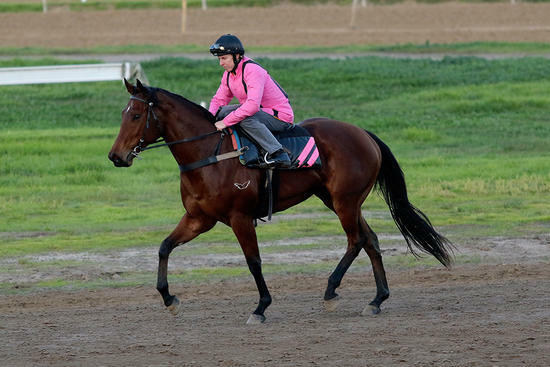 Scott Cameron purchased Simeulue as a yearling at the Inglis Premier Sale and said the filly has always shown ability. “She has always shown she can gallop but we have just had to be a little bit patient with her,” Cameron said. “As Jordan said she is still working it out so we’ll take her quietly for the time being but it’s great to get a win for the owners and the stable. "She's a filly we picked out at the sales and fortunately didn't have to pay too much for - we'll be back at the sales looking to buy more next year." Simeulue's win follows that of Bubba's Call at Werribee on December 23 and gives the stable four winners and three placings from just 12 runners in December.